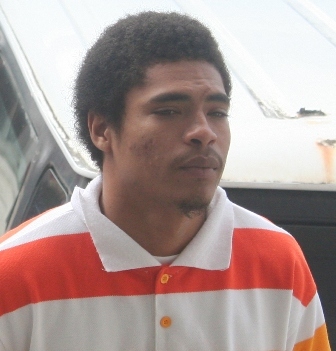 Over in the courtroom of Chief Magistrate Ann Marie Smith, twenty-four year old Charles Marvin Leslie Junior was committed to stand trial in the January 2013 session of the Supreme Court for the Attempted Murder of twenty-one year old Woodrow Reyes. Both men were on remand for separate offences when on April twenty-third, Reyes was stabbed once in the neck inside a cell at the Central Prison. A preliminary inquiry ended today with a paper committal when the Chief Magistrate determined that the prosecution’s evidence was enough to establish a prima facie case against Leslie. The prosecutor relied heavily on a statement that Reyes gave police, claiming that he saw the man who stabbed him and identified him as Leslie. The attack was one of two stabbing incidents in the prison that weekend and it is believed to have been sparked by the murder of Shelton “Pinky” Tillett, which also occurred that weekend. At the time of the stabbing, Leslie was on remand for the August 2011 attempted Murder of Durant Rhaburn while Reyes was remanded for Burglary. Too dangerous to walk among us. If convicted, let him die in solitary confinement where he can hurt nobody but himself. New Sporting Complex to replace City Center; is it a reality?